It’s not easy being North America’s smallest falcon. You’re tiny enough to be eaten by larger raptors. Sometimes, when you visit your favorite feeding grounds, you find that buildings have replaced the grasslands that used to provide tasty prey. 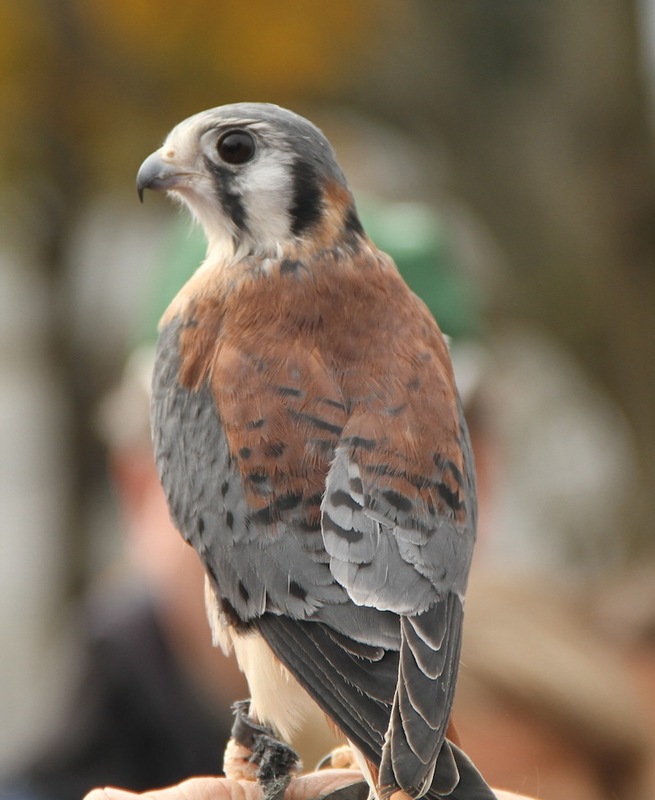 The American kestrel’s population is in decline in our region, in part due to a loss of nesting sites. 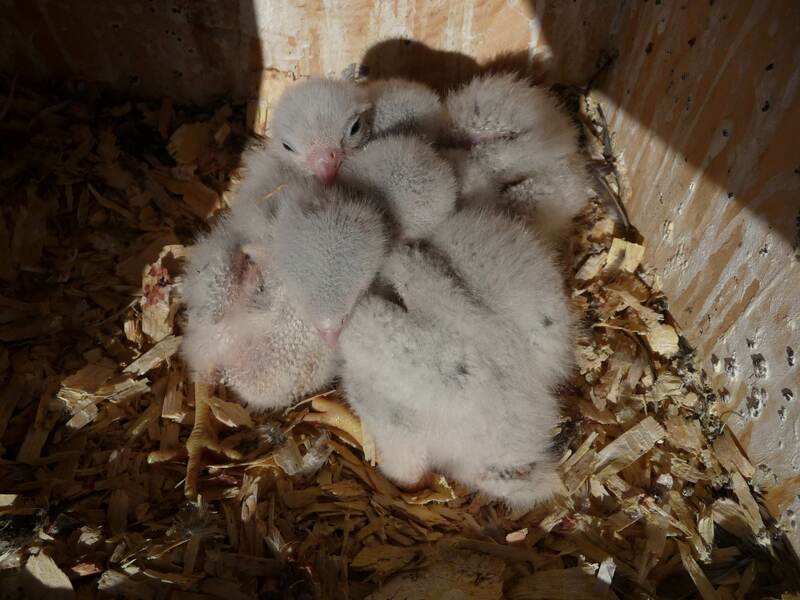 The Kestrel Nest Box project has been an exciting effort to help boost their chances of adding to the next generation. With the help of our volunteers, 16 nest boxes designed especially for kestrels have been built and installed around the Valley since 2012. 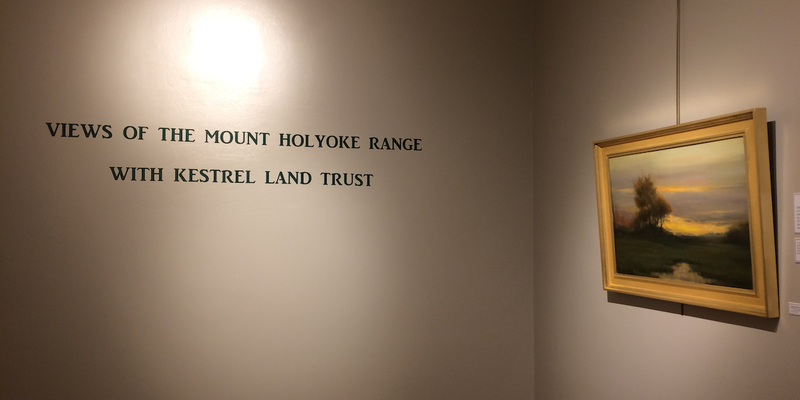 Because of skilled volunteers willing to watch and report on activity at all the boxes, valuable information is being shared with the Massachusetts State Ornithologist to add to his statewide study, which aims to learn more about how to save Kestrel Land Trust’s namesake. Looking back at 2015, we found our most interesting year so far. 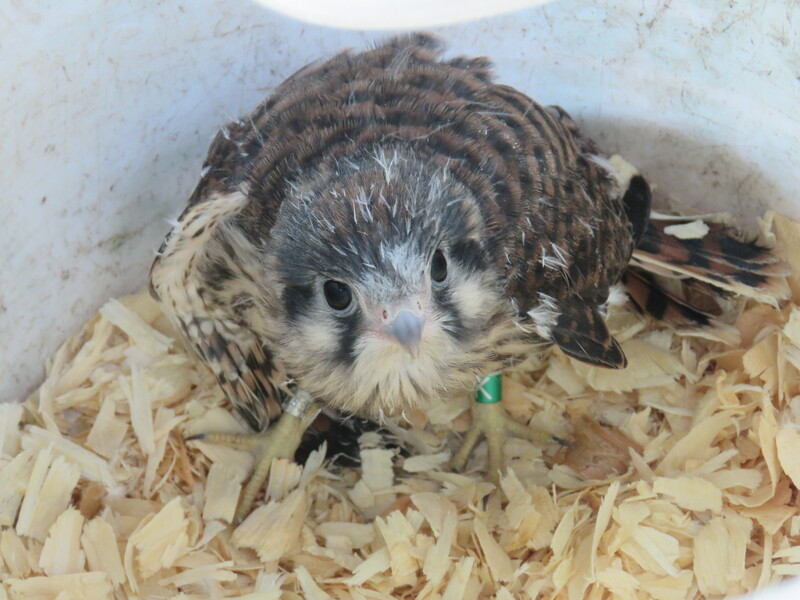 In the cool, early spring of 2015, we had 16 nest boxes prepped and open for the American kestrel’s breeding season. Our patient volunteers watched the boxes regularly for any activity throughout the season, hoping to spot courtship, feeding of babies, and maybe even fledgling chicks. 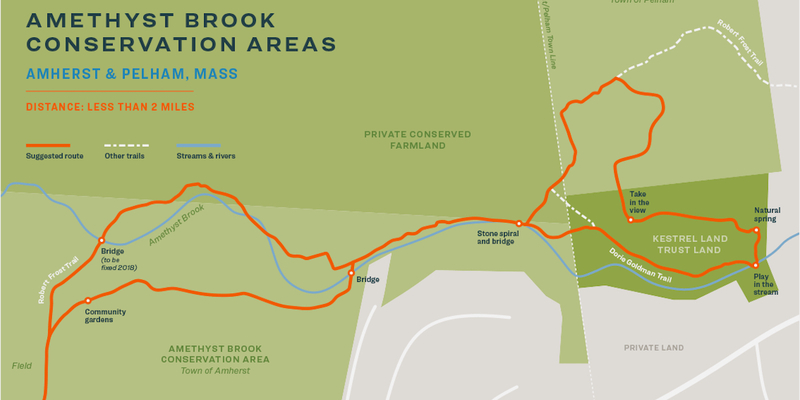 All of their observations were collected to shape a snapshot of the falcons’ lives in the Valley. Here’s what they found: American kestrels were observed on, in, or near 11 of the 16 boxes. Six of those boxes were occupied by kestrel couples who laid eggs. However, only 4 pairs were able to successfully hatch their eggs. A total of 24 eggs were laid, with 15 eggs hatched and 11 of these kestrel chicks surviving. ’14-’15 MassLIFT AmeriCorps Member Jenn Seredejko setting up a nest box. These mixed numbers contrast with our previous two years, which each yielded 10 eggs and 10 healthy chicks. Another contrast was timing –- at all of our occupied nest boxes, egg laying and incubation began 2-3 weeks later than in previous seasons. Why is that? Well, if you recall New England’s 2015 winter weather we had some serious snowfall later in the season! Late January through the end of February produced some of the greatest total snowfall and coldest temperatures on record (e.g. 120 inches of snow in Worcester -– previous record 87 inches!) Throughout February, persistent cold prevented snow melt. March also experienced record cold and snow, presenting a deep snow pack when we prepped the nest boxes for the season. opportunities, affecting their condition and females’ ability to produce viable eggs. It’s also possible that the tough winter affected rodent or insect populations, reducing kestrels’ prey base once the snow melted and the chicks needed to be fed. 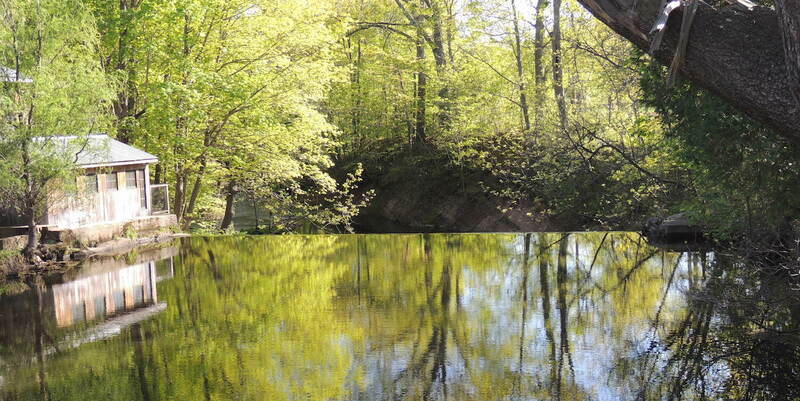 This past year serves as a good reminder of the challenges faced by birds and other wildlife. It also reminds us why the nest box project is important –- not only are we directly supporting kestrels by providing nesting sites on farms and fields that Kestrel is helping to protect as habitat, but we are also collecting information that will help us better understand and sustain the species into the future. This year, 6 of our boxes attracted kestrel pairs (38% of boxes used), up from a previous high of 3 boxes (25% boxes used). 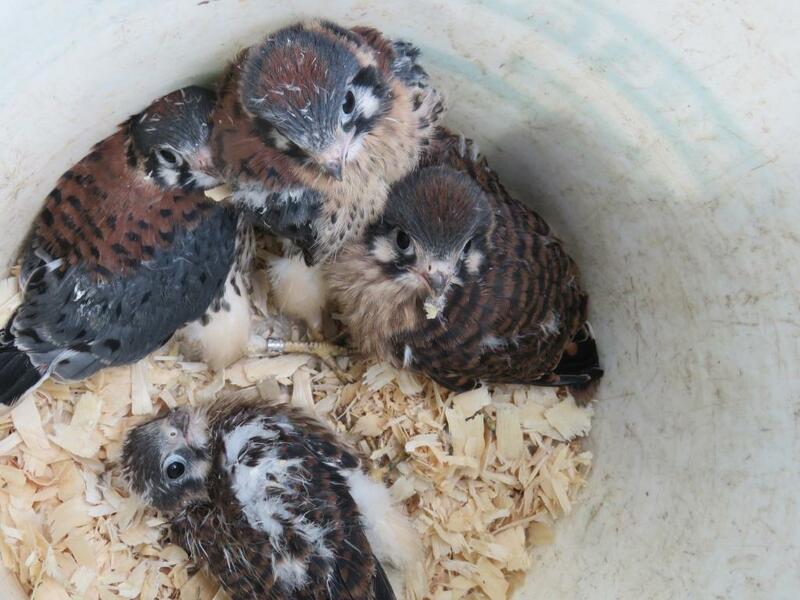 11 baby American kestrels entered the world from our nest boxes: one more than last year. 2 adult females were banded –- a first for our project! Our new boxes at Hartsbrook School and New England Falconry hosted breeding pairs and chicks in their first year. Volunteer Anthony Hill and Stewardship Manager Chris Volonte banded 4 chicks at a box managed by Arcadia Wildlife Sanctuary — Arcadia’s first chicks! At one of the boxes, volunteer Nancy Goodman made some exciting observations of the 4 chicks –- including seeing one chick hanging precariously outside the nest box, but changing her mind about taking a flight that day. Soon the fledglings were out and about, and the family seemed to be thriving. As the year wraps up and we look forward to starting up our 2016 nest box project, Kestrel Land Trust would like to thank all of the volunteers in our community who contributed to the project. Your efforts are greatly appreciated and we hope to see you back in the new year -– kestrels need friends like you!